LCLR September Galas - cont. 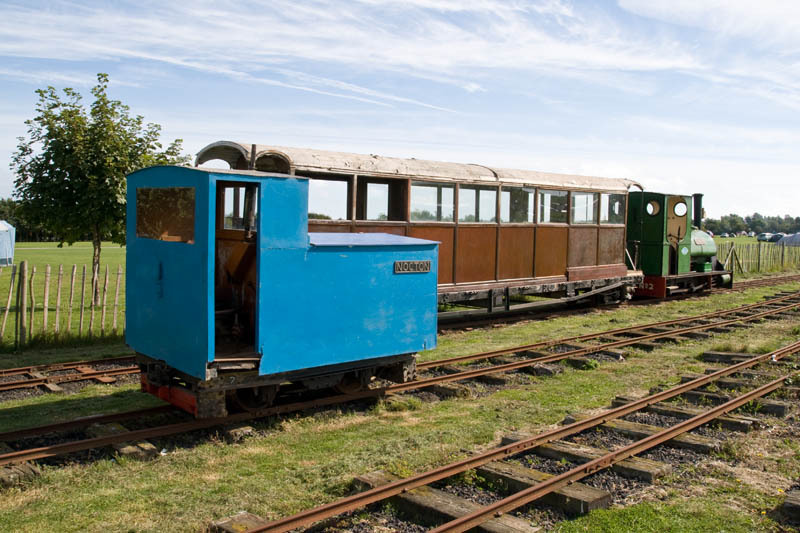 removing the wooden body fitted during its days at Humberston. 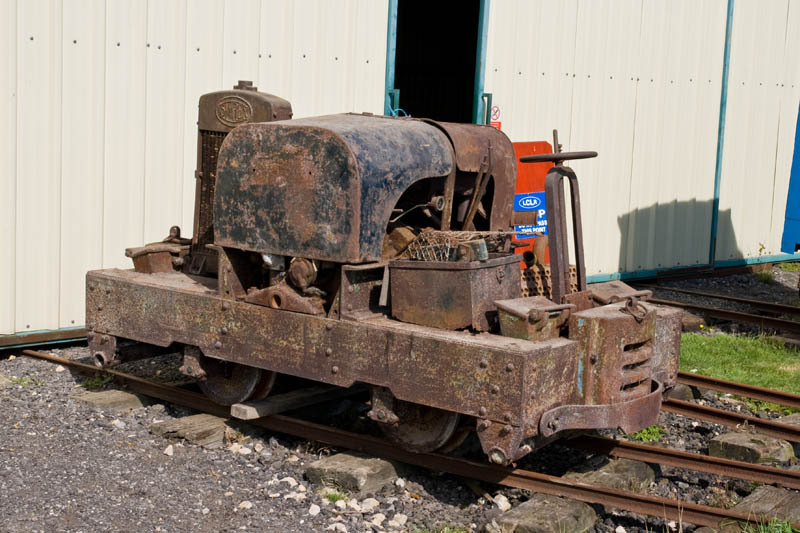 Another long term project is the restoration of this Simplex loco aquired from Skegness brickworks some years ago. 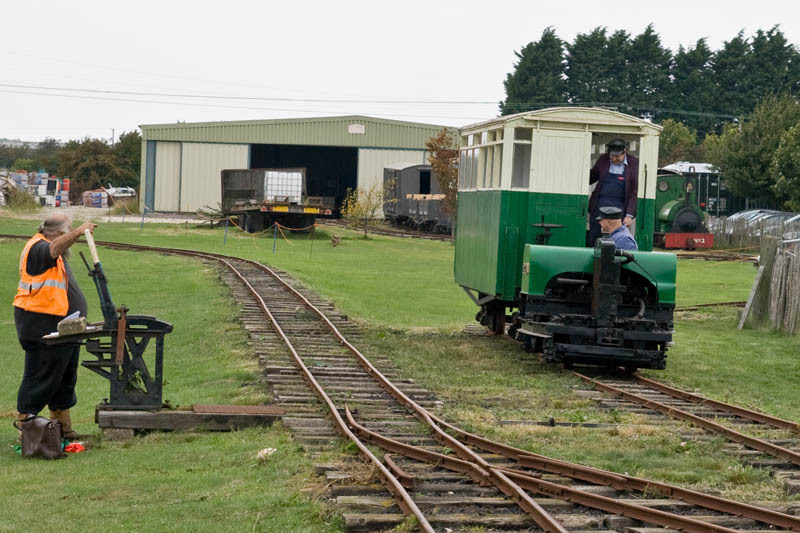 The WD train runs into the station loop in order to return to the shed, whilst the passenger train waits in the platform. 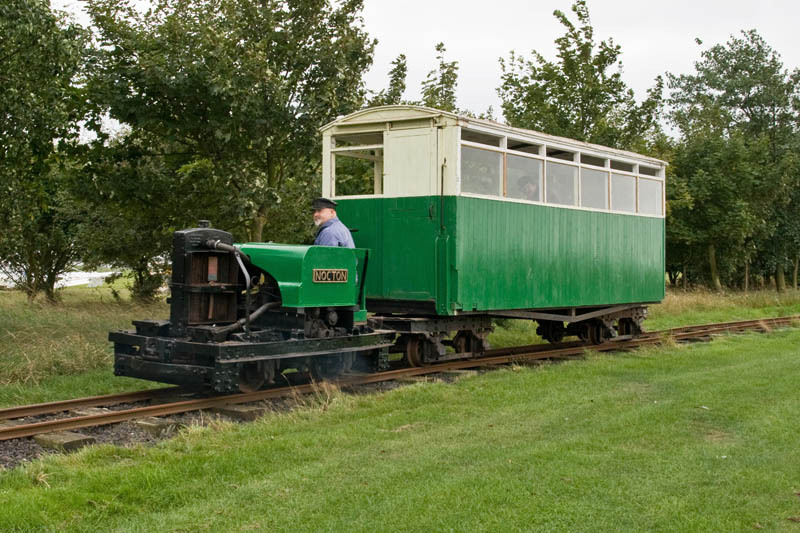 The first gala outing, in 2011, of newly restored LCLR No 7 "Nocton", a 1920`s bow framed Motor Rail Simplex loco . 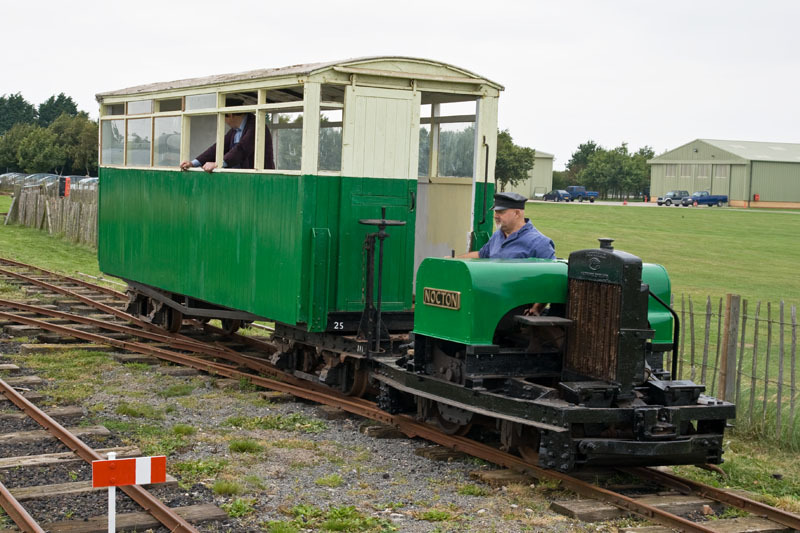 to original condition, having had its wooden cab removed. 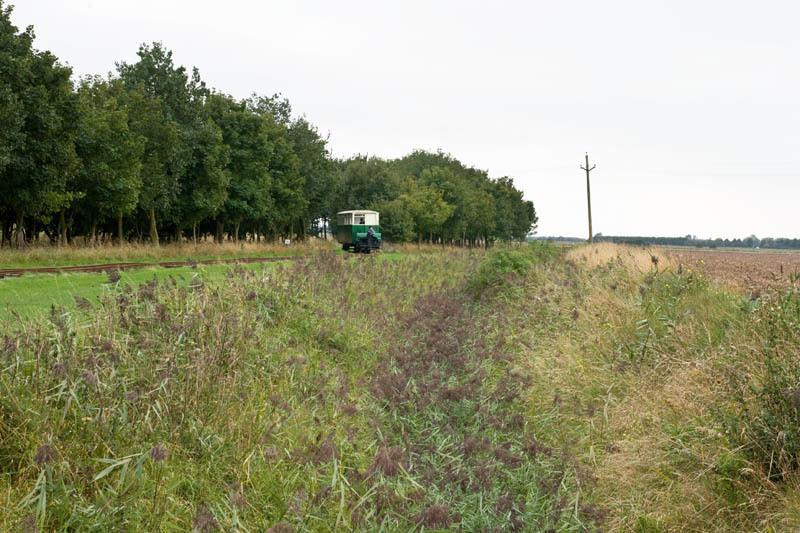 A typical Lincolnshire scene with rich agricultural land as far as the eye can see, and drainage dykes (dry at present). NB. 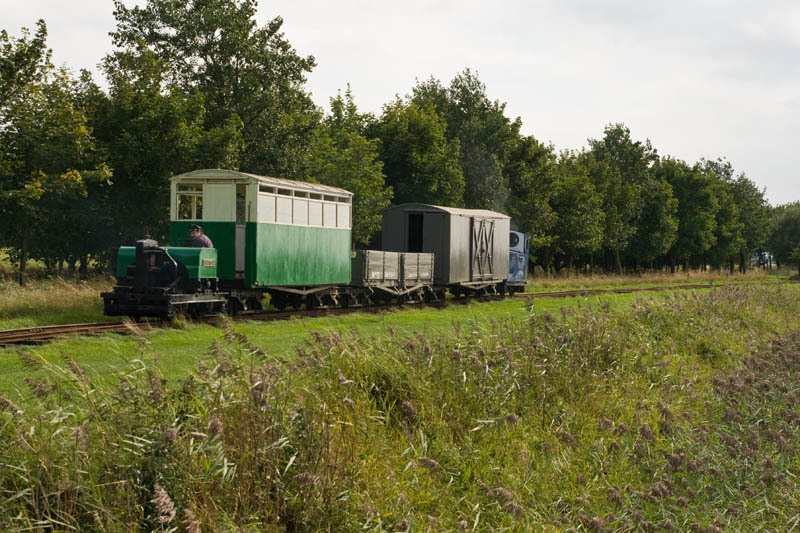 This section of the line is normally out of bounds to photographers, as are the next 2 viewpoints. being fitted with swivelling seats and gun racks. 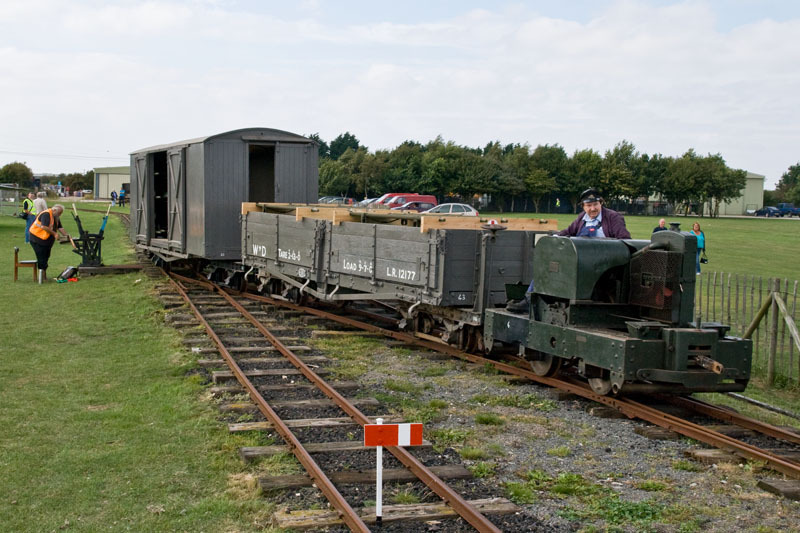 Another typical Nocton train, with coach, open bogie wagon, ambulance van and second bow framed Simplex loco "Paul". 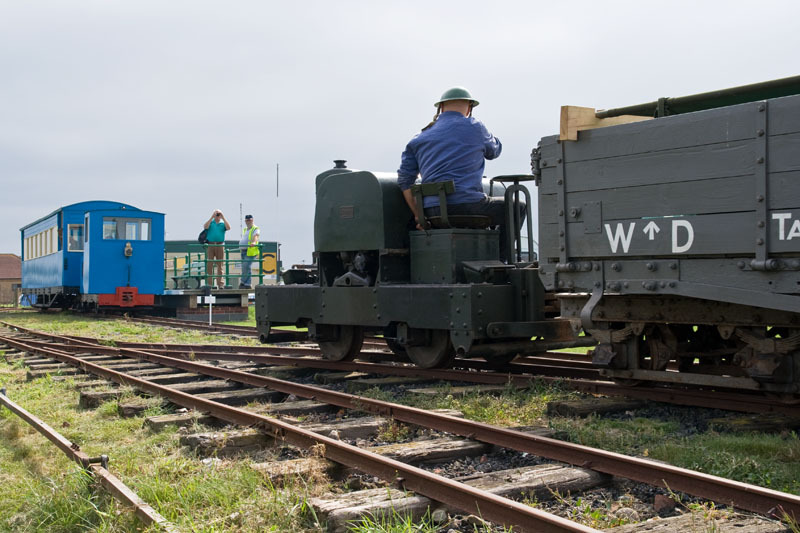 The WD train come across the points from the mainline and returns to the station loop. Time to put stock away. 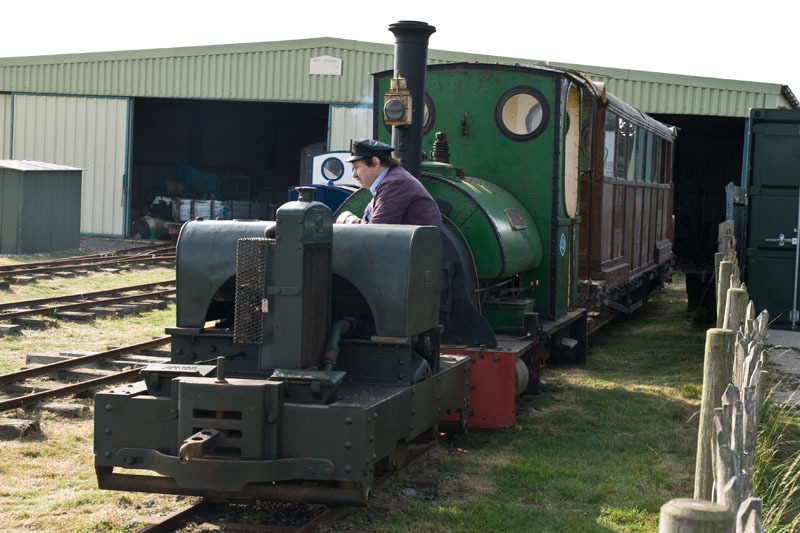 No 6 pushes "Jurassic" and the Sand Hutton coach into shed. 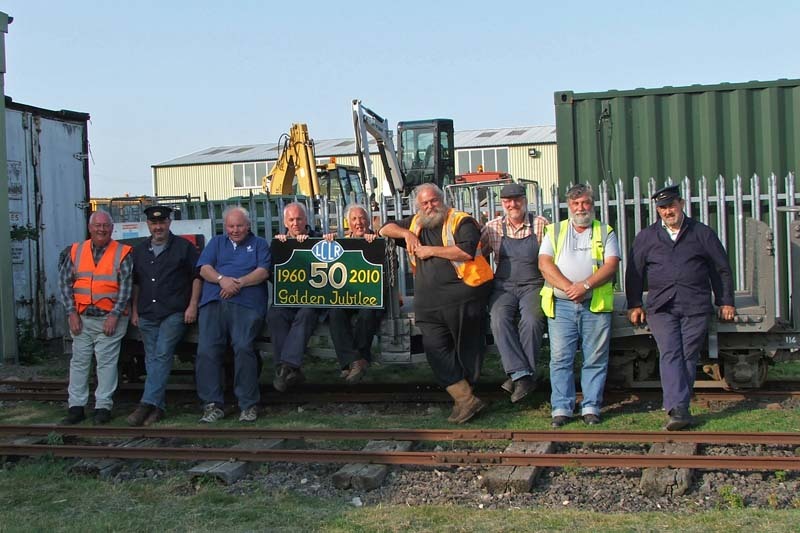 With nearly all of the rolling stock safely back in shed the Sunday gang pose for a group photo.